Home visiting Opticians in Hounslow. There can be a number of reasons why a person may find it difficult to do daily activities independently. Some of those actives we take for granted such as going out of our homes. People young and old may not have or no longer have the ability to go out independently due to physical or mental health issues. This makes visiting important places for health needs such as local GP surgery, Dentist or Opticians very difficult. Fortunately, your GP in Hounslow is able to visit you at home if you are unable to go out. But did you know that NHS Hounslow will also fund an eye test by an Optician in your home? Eyes On Call Mobile Opticians has over 10 years of experience working as home visiting Opticians in Hounslow under contract from NHS Hounslow. You will need to meet certain criteria to be eligible for this service. Firstly, you will need to be an NHS patient. This can cause much confusion as we all have access to NHS services. In this case it only applies to the following groups. Those between 16 and 60 who are on low income benefits. Examples would be income support, universal credit and pension guaranteed credit. If you are not in the above categories and require a home visit you may be able to part fund your eye test at home. Call our service number or fill in the form for further advice. Do I need to be living in Hounslow? You will need to be a resident of Hounslow. If you are visiting a friend or relative or are staying there temporarily, you will not be eligible. Instead you should look for services available in the area you normally live. Eyes On Call is a home visiting Opticians in Hounslow & contracted by NHS Hounslow to provide the service. Do I have to have a registered GP in Hounslow? Your GP doesn’t need to be in the Hounslow NHS area. What’s important is that you are a resident of Hounslow. For example, if you live on New Heston Road but your GP is based at Crosshands Surgery, which is in Norwood Green, Ealing Borough. In this case your eye test at home will still be funded by NHS Hounslow. It is important to bear in mind that you cannot have a sight test at home if you have already had one at a local Opticians. The reason for this is that NHS Hounslow will not fund a sight test for you in both places. It works the other way too. If you have had an eye test at home recently, you cannot go to a local Opticians and have another test if you are not experiencing an problems. If your are having problems you should contact us to arrange another visit. If your vision problems are such that you should be seen quickly but we are unable to book you an appointment quickly, it would then be advisable to have someone take you to a local Opticians. You must let them know when you last had a sight test done. NHS Hounslow require that sight test being carried out in your own home must be pre-notified before the visit date by at least 48 hours. Home visiting Opticians in Hounslow are obligated to do this. This means that for example, if you call us on Tuesday, the soonest that we can arrange a home visit for you, if an appointment is available is on Thursday. If you call us on Friday the soonest we can arrange an appointment is on Monday. Please bear in mind that appointments are sometimes available in one to two weeks. Do I have to be referred to your service? Fortunately, you do not need to be referred to our service. 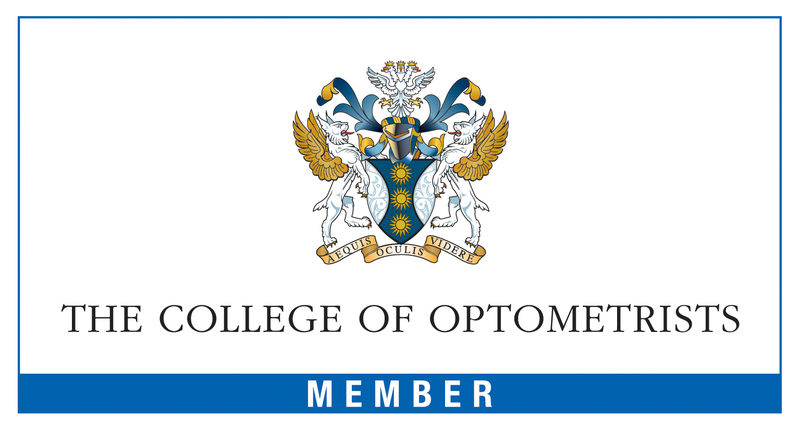 We do take referrals and there are independent Opticians such as Feltham Eye Care Centre, The Opticians on Hounslow High Street and Ioptics on Bath Road who refer to us as their preferred home visiting Opticians in Hounslow. We also receive referrals from social services and other NHS providers. To self refer just call us on 08000 470 425 or you can fill out the appointment request form. The appointment will take approximately 60 minutes. The Optometrist will bring sight testing equipment with them and measure up your room in order to conduct the sight test correctly. They will also bring with them a set of spectacle frames for you to choose from, should you need glasses. We carry a good selection of frames. The Optometrist will guide you on the right type of frames for you and the lens options you want to go for. Factors to consider may be things like whether you take them on and off a lot, whether you tend to sleep in them, if you are prone to falling. If you do order new glasses, they will take up to 3 weeks to be delivered. If they are single vision glasses they can be posted out to your home and will arrive quicker. If they are varifocals it is best to have them fitted and so a delivery appointment will be needed. Don’t delay an eye examination if you think you need one. There are a number of eye conditions that can only be picked up by an Optometrist. These conditions would only effect you when it is too late. Don’t put off having an eye examination out of fear of the cost of glasses. You are not obliged to order glasses even if you need them. You could even delay ordering till the time is right for you. Don’t feel your vision is getting worse due to you age and that you should just accept it. This need not be the case. Conditions like cataract treatment are done routinely for those in there 80s and 90s. Don’t feel you are burdening us by calling us to your home. NHS Hounslow provides this service for those exactly like you and we exist to fulfil that role. Don’t feel you cannot have a chaperone with you (someone you trust) like family or friends at the time of your eye test at home. We always encourage family or friends to be present. Your eye test is performed by an Optometrist who is a registered eye care professional. Salman Siddiqui has been qualified since 2003 and has been providing eye care at home since 2005. He also holds positions at Moorfields Eye Hospital in central London and Queen Mary’s Roehampton. Much experience has been gained over the years in dealing with those with severe learning disabilities, dementia, stroke, challenging behaviour and other impairments. We fully appreciate that these types of patients require extra time and patience to examine. We hope your search for home visiting Opticians in Hounslow has come to an end. To self refer just call us on 08000 470 425 or you can fill out the appointment request form.